The superb bohemian style of the Lambie Ceiling Lamp from Zuo Modern comes from the seemingly random use of materials. 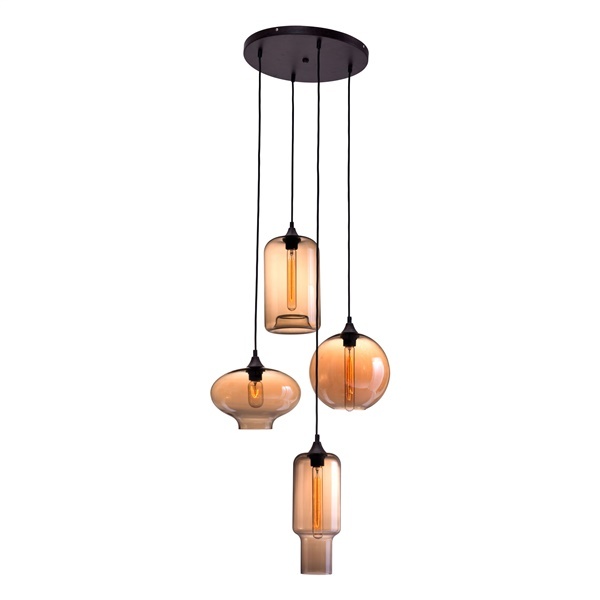 The four glass amber globes feature different shapes and all sit at different heights, creating a dizzying display of beautiful warm light; inside each globe is a vintage filament style bulb, adding more classic appeal. Even the mounting hardware and cords of the Lambie Ceiling Lamp stay in character with a rust color that is hip and bohemian.